This rumour has been doing the rounds for a number of months now, with the Belgium international edging worryingly closer to the end of his contract at Stamford Bridge. 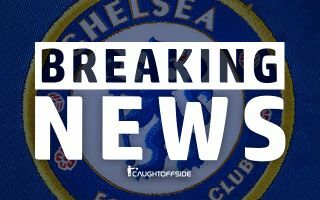 This puts Chelsea under pressure to sell as it seems Hazard is not set to sign a new deal, with AS stating he has personally agreed on a move to the Bernabeu for summer 2019. The 27-year-old makes sense as a priority target for Real after they sold Cristiano Ronaldo in the summer, with players like Gareth Bale and Marco Asensio failing to step up in his absence. Hazard, however, will not come cheap and Chelsea may still do all they can to make this transfer tricky for Los Blancos by demanding as much as €170million (£151m) for their star player. That seems a lot for a player who will be in the final year of his contract this summer, with Madrid not keen on paying that much for a player they could sign for free just a year later, according to AS. The report adds that the Spanish giants could try to get Hazard’s price down by including Mateo Kovacic, on loan at Chelsea this season, in the deal.